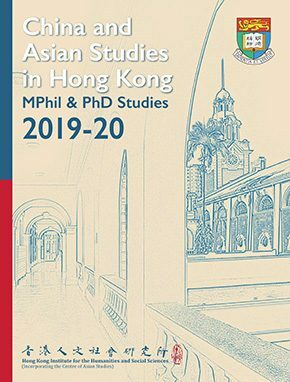 The Institute offers Master of Philosophy (MPhil) and Doctor of Philosophy (PhD) programs to students wishing to conduct cross-disciplinary research on (1) science, technology and medicine in Asian societies; (2) hubs, mobilities and the Asian urban; or (3) spirituality and religion in Asia. Details are available online at the Graduate School’s and the Institute’s webpages. Students’ participation in the Institute’s academic activities such as lunchtime seminar series, workshops and public lectures is mandatory. Involvement in tutorials and event organization may be required. Students are required by the Faculty of Social Sciences to present a paper in a Research Postgraduate Conference at least once during their study period.